The street pavement in the heart of Pizzo's historic center - that had initiated some three years ago (Rome also wasn't built in a day) - seems finally to come to an end with some last alleys getting paved (photo below: Via Roma). The garage with the two "No Parking" signs is ours and can be used by our guest on request and availability. Monday evening break. Via Roma, Pizzo. Kitchen planning started in August last year, and went smooth. But the more time we had, the more changes I made ... and now our custom made kitchens are delivered! Delivery through the garage makes the studio comes first. We always favored local products. And I am glad and proud to support Calabrian businesses. If you need a new kitchen, we definitely can recommend Alindar from Maidar. Great customer service, very good quality, fair prices. If you buy an IKEA kitchen, you pay probably the same and have to mount it by yourself. Check out Alindar, they even have customers in Switzerland. Kitchen in the studio's entrance area. I am glad, I changed from a red kitchen to a white kitchen at the last minute. I really prefer to have this modern red and white interpretation of a classic Vietri floor tile pattern instead of a bold red kitchen. The area is too small for a red kitchen - like we have it at the residence. Our special customised kitchen for the Dependance! - LIKE it ! For the kitchen counter top we need to look for a matching natural stone as the layout is a bit unique. What seems like a built in oven in the corner is the vaulted ceiling of the stairways below. We built the kitchen around it to optimise the space in that room. 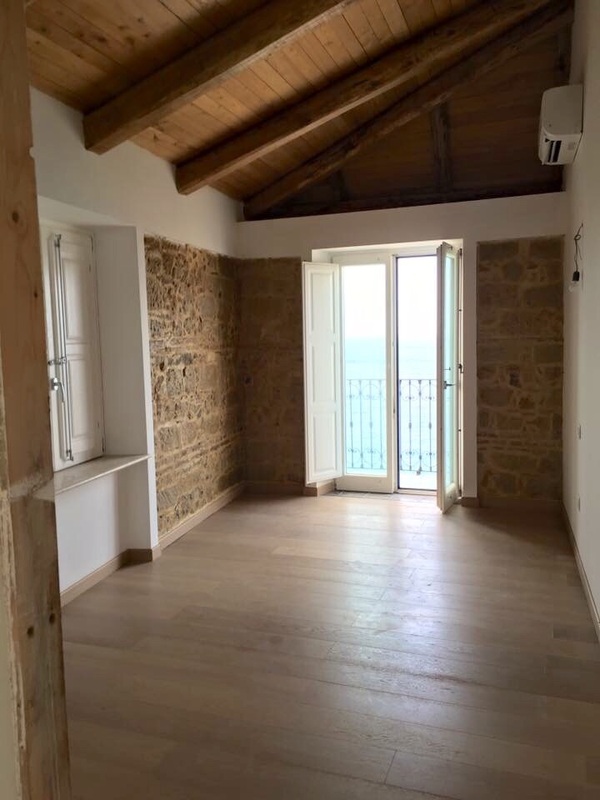 When you turn around and look through the windows, you have sea view! 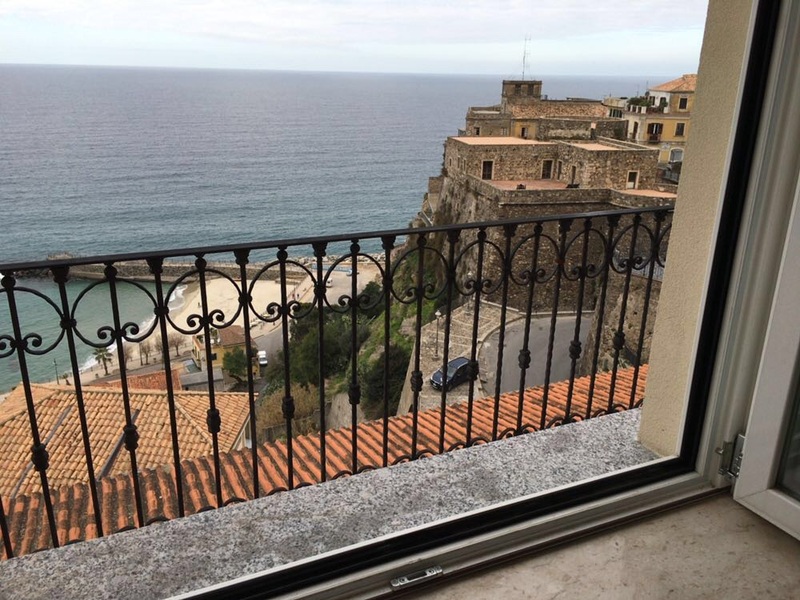 Absolutely stunning sea view, and castello view! What can't be seen in the photo (above) properly yet - details will be published later - is the beautiful ceramic artwork by Antonio Montesanti. He made for us a band of Pizzo's history. The history and stories of Pizzo in ceramic tiles (photo below), which are now stretching along the kitchen counter. History of Pizzo told in ceramic tiles by Antonio Montesanti ... Here in the making, now in our kitchen! Of course the very popular retro fridge by Smeg is not going to be missed! One light blue fridge - as our guest already know from the residence - is ordered for the larger kitchen at the Dependance. And a red version is ordered for the Studio downstairs. 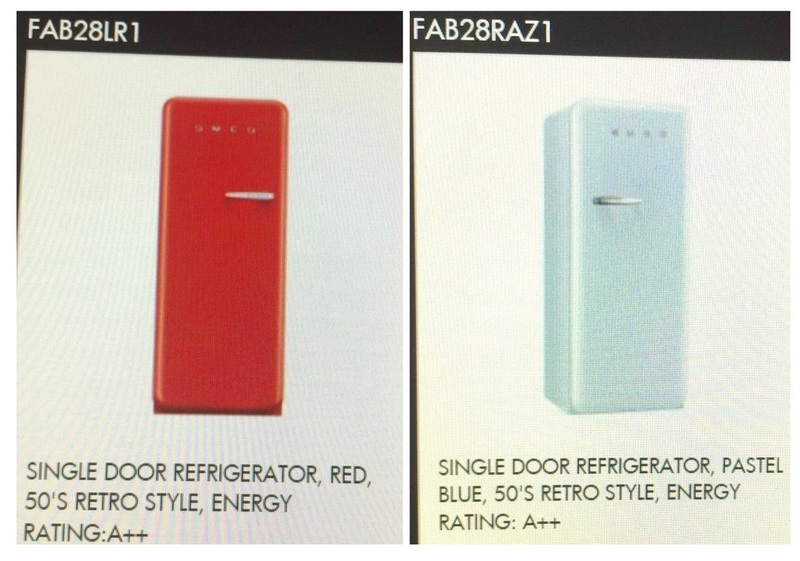 Retro fridges by Smeg - L means hinges are left, and R means Hinges are Right ... important details! What I have not yet posted, but received from Angelo, are report photos of the bathrooms. All bathrooms are tiled and mainly done. However, the photos don't do justice yet. Again, we bought local. 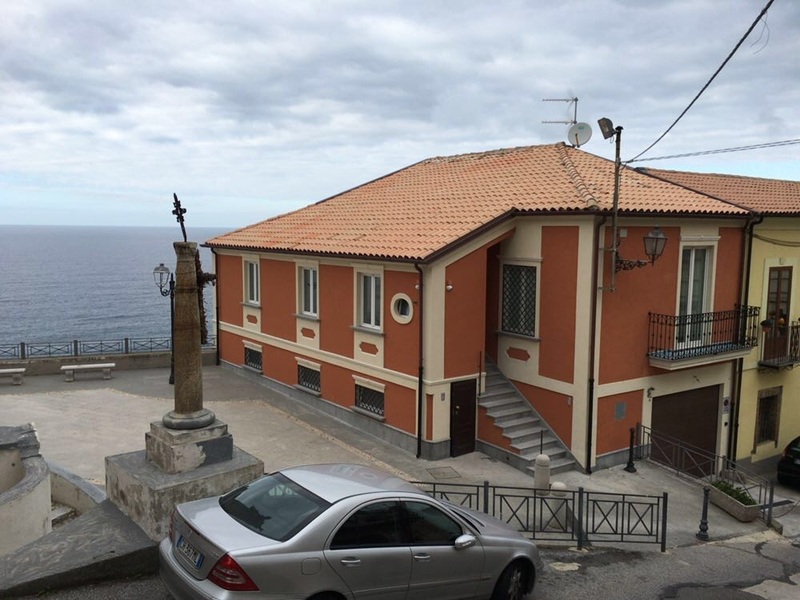 All products, sanitary equipment and tiles, were ordered and delivered via the local company Callipo in Vibo Valentia. We used them also for our previous project and are very satisfied. Mirrors, shower boxes, hooks, shelves and other accessories and details are next! That's why we are going to be on site soon! - So far, mille grazie Angelo! Dependance: kitchen not yet delivered but floor tiles look great! All photos by Angelo, shot with his phone and sent via what's app group. Please expect big progress in April and more photos on the way.